Vampire and werewolf stories are popular all year long but during Halloween these stories become even more prevalent. The myths surrounding these creatures have been around for centuries but recently scientists have been studying whether or not these myths may be based on facts. 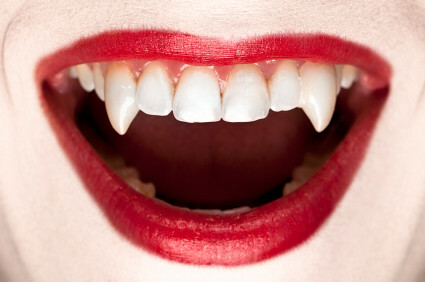 Many believe that there may be an explanation for certain symptoms that are associated with vampires and werewolves. Professor David Dolphin from the University of British Columbia released a study that explains how these symptoms may be related to a group of disorders known as porphyria. Joel Schlessinger MD explains porphyria, a rare genetic disorder. Porphyria is any condition that causes a buildup of natural chemicals that produce porphyrin which is essential for the proper function of red blood cells. These conditions can affect the nervous system, organs and skin and the condition is usually passed down genetically. While we have a better understanding of porphyria today, many of the symptoms may have been difficult to explain hundreds of years ago when myths about vampires and werewolves became popular. The symptoms of porphyria can vary widely, explains Joel Schlessinger MD. Some symptoms of porphyria include red teeth, skin damage caused by sunlight, pale skin and light sensitivity, all symptoms that can be associated with vampires. Some studies also suggest that drinking blood may help alleviate some of these symptoms. Some individuals with this condition also experience excessive hair growth. This symptom can be associated with myths surrounding werewolves who sprout hair all over themselves. While some mythical elements cannot be explain, such as a werewolf’s dislike of silver, it is easy to believe that stories were created to explain a disease that was unknown hundreds of years ago. What do you think about the possible link between porphyria and these Halloween myths? Let us know in the comments! Cosmetic surgeons around the country are seeing an increase in the number of patients seeking reconstructive surgery to repair earlobes that have been stretched. In this blog, Dr. Joel Schlessinger discusses this procedure and what kind of results patients can expect. After the earlobe has been stretched to a certain point, it will never return to its original shape, Dr. Joel Schlessinger explains. This practice involves placing a cone-shaped taper or larger-size tunnels into a piercing every few weeks until the hole reaches the desired effect. Once the piercing hole stretches past 1.5 centimeters, however, the earlobe will never bounce back to its original shape. This reconstructive procedure involves bringing the ear back to a more natural shape, Dr. Joel Schlessinger says. Many patients seek reconstructive surgery to achieve a more professional appearance but once the damage is done, it can be hard to repair. “I have seen more and more of these in my practice and it is becoming quite a problem,” Dr. Joel Schlessinger says. After reconstructive surgery, Dr. Schlessinger says the appearance of the ear is usually improved but far from perfect. Whether you’re considering your first tattoo or you’re a long-time tattoo parlor veteran, it’s important to review the health risks associated with permanent ink. First, note that tattooing is not closely regulated by the FDA. Though the FDA has reviewed the contents of tattoo ink, the actual practice is generally mandated by individual county and city governments. This means that in addition to your own immune system’s reaction to the procedure, you must consider the safety and sterility of the tattooing facility, as well as the equipment and ink. Dr. Joel Schlessinger notes that tattoo ink could be unsanitary due to unclean manufacturing processes. The safety of your tattooing procedure begins with the sterility of the ink. The FDA does not regularly inspect ink-manufacturing plants for sanitation, and any of the ingredients or machines at the facility could harbor harmful bacteria. In a recent case, it was discovered that water used to dilute the ink was contaminated. Similar cases are reported each year. A bacterial infection could be mild to severe, ranging from a red, swollen rash with discharge to fever, chills and other flu-like symptoms. There is also a risk of bacteria spreading through the bloodstream, a potentially life-threatening condition called sepsis. In addition, a number of viruses can be transferred to the skin via unsterile tattooing equipment. Cases of warts and more serious blood-borne diseases such as hepatitis B have been reported. Though allergic reactions are rare, they can happen, says Dr. Joel Schlessinger. Even if the ink, facility and equipment are safe, there are still risks to keep in mind. Tattoo ink ingredients vary depending on brand and color, but they could contain common allergens, like nickel or mercury. Allergic reactions to tattoo ink are considered relatively rare. However, they could produce a painful, itchy rash resulting in infection, and lead to permanent scarring down the road. You could even experience an allergic reaction years after initially getting the tattoo. Also, note that everyone heals differently, and even with proper after-care, complications could arise. There is a risk of developing granulomas, painful bumps that form when the body’s immune system attempts to ward off foreign substances like tattoo ink. The skin could also form keloids, raised, pink, shiny lesions that form within scar tissue to produce a permanent mark. Dr. Joel Schlessinger discusses tattoo removal. Though the risk of infection is a real concern, the most common risk you’ll encounter is tattoo regret. Though Dr. Schlessinger has produced excellent tattoo removal results at his Omaha, Nebraska clinic, not everyone is a good candidate. The color and location of a tattoo play a large role in successful removal, and your skin may still bear some discoloration. It’s crucial to consider the health concerns of your tattoo, as well as the social and personal implications. Do you have a question about the risks associated with tattoos? Let us know in the comments section. As injectable wrinkle fillers gain popularity, some patients are searching for an inexpensive alternative to office visits. In this blog, Joel Schlessinger MD explains how seeking treatment from anyone other than a professional could have serious side effects. It’s important to see a board-certified cosmetic surgeon for fillers and other injectables, Joel Schlessinger MD says. Always do your research when selecting a cosmetic surgeon. It’s important to choose someone who is board certified and has experience with fillers. If spas and offices are offering fillers at deep discounts, this should be seen as a red flag. These fillers are generally unapproved by the Food and Drug Administration or illegally obtained over the Internet. Unapproved fillers can cause serious damage, including infection, severe allergic reactions, disfigurement and even blindness. According to the Centers for Disease Control and Prevention, unsafe injections are a “growing problem.” Dermatologists and cosmetic surgeons are seeing an increasing number of patients with botched fillers who are looking for a way to reverse the damage. 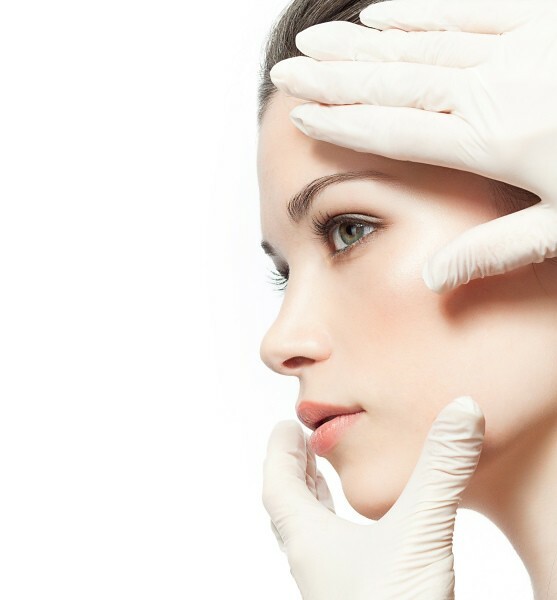 Choose a cosmetic surgeon like Joel Schlessinger MD, who puts your safety first. Dr. Schlessinger has extensive experience with fillers and performs all of his own injections. His patient satisfaction rate and proven track record for success have consistently earned him the titles of Best Dermatologist and Best Cosmetic Surgeon in Omaha. Joel Schlessinger MD and his staff as Skin Specialists P.C. take the time to consult with patients before treatment begins. Using photographs, the staff will show you where your wrinkles may be improved and discuss different options with you. You will also meet with Dr. Schlessinger, who can answer any questions you may have prior to the treatment. Learn more about seeing Joel Schlessinger MD for injectable fillers. Do you have a question about unapproved fillers? Share with us in the comments. Achieving a bronze glow doesn’t require harmful UV exposure. With so many sunless tanners on the market, it’s easy to achieve a safe, natural tan from the comfort of your own home. But how exactly do self-tanners work? In this blog, Dr. Joel Schlessinger explains how these products give your skin a warm, healthy glow. Sunless tanners give your skin a tanned look without UV exposure, Dr. Joel Schlessinger explains. The active ingredient in most self-tanners is the color additive dihydroxyacetone, or DHA. Derived from sugar, this ingredient reacts with amino acids found in the top layers of skin to create a bronze shade. This color change can take anywhere from two to six hours and each reapplication will help build color depth. This is why many products have a gradual effect over a few days or a week. Without reapplication, the coloring typically wears off after a few days. Self-tanners do not replace the need for sunscreen. Even if the formula you’re applying contains sunscreen, this protection only remains effective for a couple hours. The bronze color produced by sunless tanning products will not provide UV protection so applying a broad spectrum sunscreen like EltaMD UV Clear SPF 46 Broad Spectrum Sunscreen is still essential. Self-tanning products are a safe alternative to sunbathing and tanning beds, says Dr. Joel Schlessinger. When used as directed, self-tanners are safe and effective. DHA is FDA-approved for topical application and has a long history of safe use on skin. Self-tanners are the only tanning alternative advocated by dermatologists like Dr. Joel Schlessinger. Self-tanners are available in a variety of formulas including lotions, towelettes and sprays. For a gradual, radiant glow, Dr. Joel Schlessinger recommends jane iredale Tantasia Self Tanner & Bronzer. Towelettes like Dr. Dennis Gross Skincare Alpha Beta® Glow Pad for Face and TanTowel for body provide a more instant glow and a quick, even application. If you prefer a spray formula, bliss A Tan For All Seasons provides a head-to-toe tan and dries in just five minutes. For best results, follow the directions on your product. Take care to protect your eyes, mouth and nose, especially if you’re using a spray formula as getting product into these areas can cause irritation. If you make a mistake, immediately exfoliate the area and apply an alcohol-based toner to remove some of the pigment. Wash your hands as soon as you’re finished to prevent orange palms and uneven color.